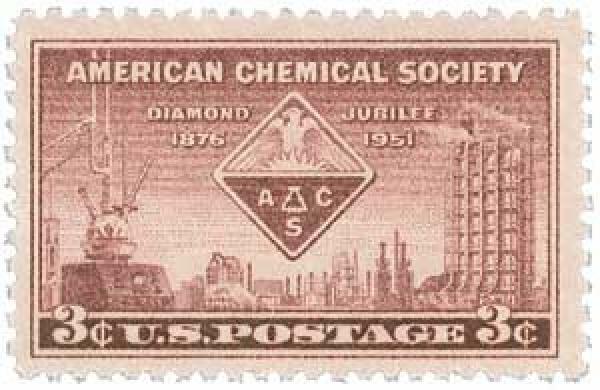 US #1002 was issued for the ACS’s 75th anniversary and pictures their emblem along with several instruments related to chemical work. On April 6, 1876, the American Chemical Society was founded in New York City. Prior to that, there were other American scientific societies, namely the American Association for the Advancement of Science, which was founded in 1848. However, there wasn’t an organization devoted solely to chemistry, which was a fast-growing science. Chemistry is the scientific study of substances, how they behave and change under different conditions, and how they interact. US #RK1 – The first Consular Service Fee stamp. 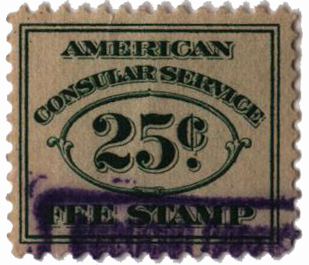 On April 5, 1906, Congress passed a law calling for the creation of Consular Service Fee stamps. That same act also provided for the reorganization of the consular service in the United States. This included classifying and grading the consuls and consuls-general, and specifying their salaries. US #1622 pictures the 13-star, 13-stripe flag. On April 4, 1818, President James Monroe signed a flag act that changed the way the US flag was updated when new states joined the Union. Many people claimed to have designed America’s first flag, including Betsy Ross and Francis Hopkinson. 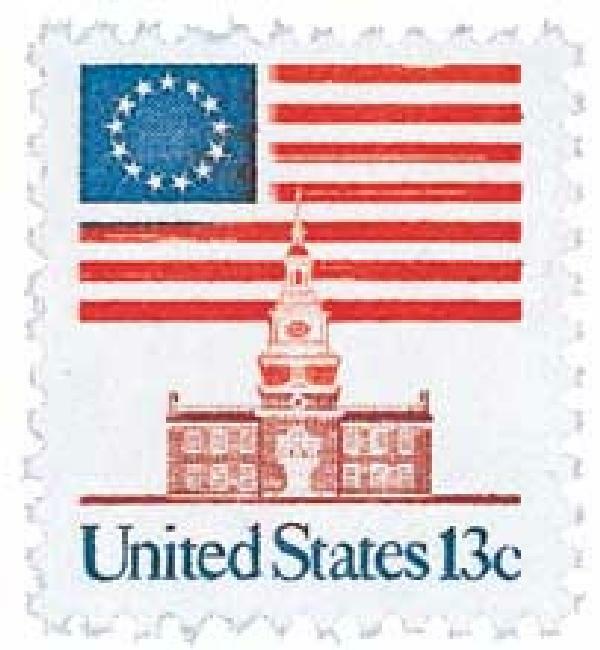 Regardless of who designed it, the Flag Resolution of 1777 declared that the flag contain 13 stars and 13 stripes, in honor of the 13 states of the Union. US #113 from the popular Pictorial issue. 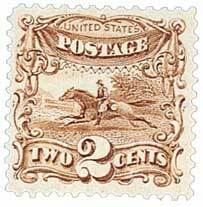 On April 3, 1860, the Pony Express made its first trip from St. Joseph, Missouri, to Sacramento, California. In 1860, mail contractor Ben Holladay joined forces with the Russell, Majors, and Waddell freight company to create a mail-carrying operation that would be faster and more efficient than the stagecoaches of the Butterfield Overland Mail. At that time, it could take months for mail to be delivered to the unsettled West by stagecoach. 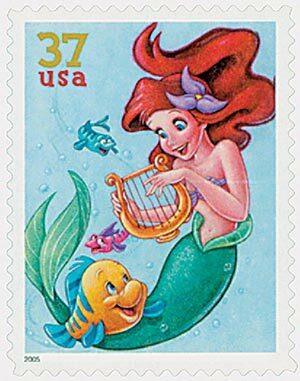 US #3914 from the Art of Disney series. Danish author Hans Christian Andersen was born on April 2, 1805, in Odense, Funen, Kingdom of Denmark-Norway. Andersen was an only child whose father claimed to have come from nobility, though there is no evidence of this. His father instilled in Andersen an appreciation for literature from an early age, in particular by reading him Arabian Nights. US #3903b – Many scholars believe April Fools’ Day is connected to unexpected nature and joy that Spring brings. On April 1, 1700, pranksters in England popularized the annual tradition of playing jokes on each other on April Fools’ Day. The origins of April Fools’ Day are unclear. There are several possible roots in different countries that may have led to April Fools’ Day.